The Marauders (Moony, Wormtail, Padfoot and Prongs) was the collective name given to Remus Lupin, Peter Pettigrew, Sirius Black and James Potter during their time at Hogwarts. Potter, Black and Pettigrew became unregistered Animagi in order to help Remus Lupin, who would transform into a werewolf once a month. Together, the group created the Maruader’s Map — an enchanted piece of parchment that transformed into a map of Hogwarts and revealed the location of those in the castle and on the grounds. Ultimately, Fred and George Weasley came into possession of the map and passed it on to Harry during the events of Harry Potter and the Prisoner of Azkaban. 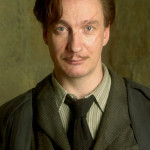 As a child, Remus Lupin was bitten by the werewolf Fenrir Greyback. Consequently, he would transform into a werewolf once a month during the full moon. His three friends and fellow Gryffindor students learned to transform into animals (known as Animagi) to help Lupin each month. The Whomping Willow was planted in the Hogwarts grounds to protect the secret passage to the Shrieking Shack in Hogsmeade — the building Lupin would inhabit during his transformation in order to keep his secret. The villagers of Hogsmeade believed the Shack to be haunted, a rumour that Albus Dumbledore supported in order to keep Lupin safe. 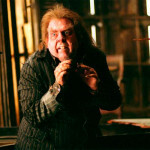 Peter Pettigrew learned to transform into a rat. Ultimately, it was Pettigrew that betrayed James and Lily Potter to Voldemort and facilitated their murder. 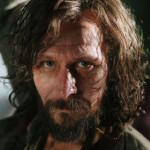 Pettigrew revealed himself in the Shrieking Shack during the events of Prisoner of Azkaban but escaped and reunited with Voldemort, becoming his servant. Sirius Black learned to transform into a large black dog. Peter Pettigrew framed Sirius Black for his betrayal of Potter, and the murder of a group of Muggles. Black was subsequently sent to Azkaban but was able to transform into a dog and escape after twelve years. He reunited with James’ son, Harry Potter, during the events of Prisoner of Azkaban and revealed his true identity: he was both innocent and Harry’s godfather. 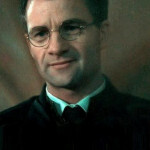 James Potter, Harry’s father, was able to transform into a stag. The stag was also Harry’s Patronus, leading him to believe that his father had returned during the events of Prisoner of Azkaban. James and his wife Lily were killed by Voldemort after being betrayed by Pettigrew.